Tolu Oni completed medical training at University College London Medical school, UK, and postgraduate training in internal medicine, including GUM/HIV in UK and Australia. 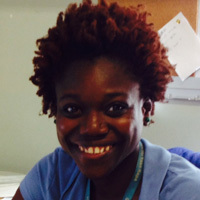 She moved to Cape Town, South Africa to work in HIV/TB research in 2007. She completed her research doctoral degree in Clinical Epidemiology of HIV-associated TB at Imperial College London, based in Khayelitsha, Cape Town. She is currently a Clinical Senior Research Associate MRC Epidemiology Unit at the University of Cambridge, UK. She is a former Co-Chair of SAYAS and a Next Einstein Fellow. Tolu is currently one of the Co-Chairs of the Global Young Academy (GYA).